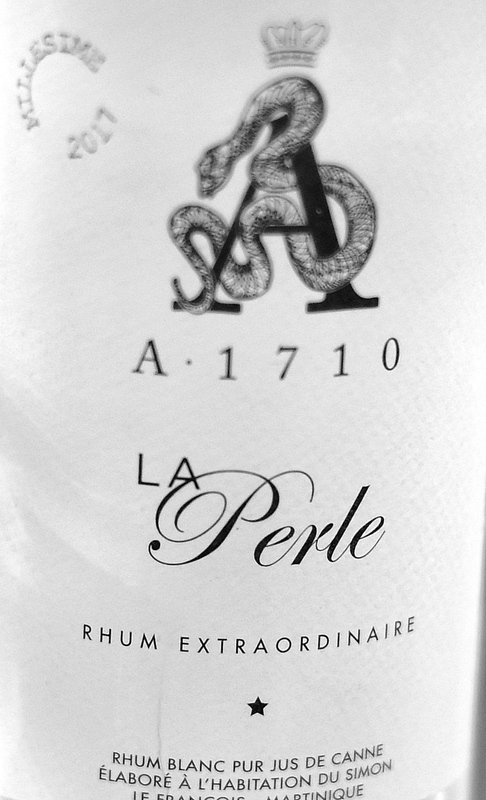 After the initial flurry of articles attendant on the forming of the first new distillery / rum brand in Martinique in, oh, I don’t know, forever, there’s been a surprising drop in attention for A1710. 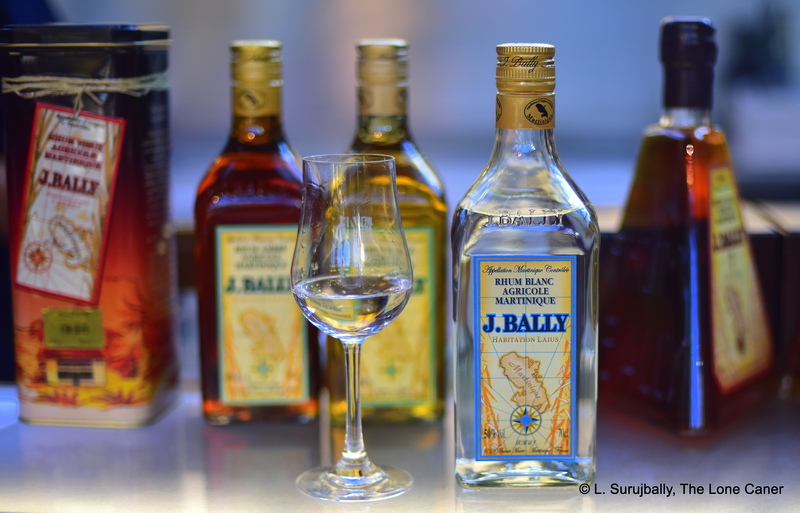 The big guns like Neisson, Bally, HSE, Trois-Rivieres, Depaz et al, with decades (or centuries) of brand awareness underlying their name and fame, continue to issue their excellent agricole rums, of course, but it’s almost like A1710 dropped by the wayside. Yet this tiny outfit makes rums with a lot of zip, zap, zowee and swoosh, and should not be ignored just because it’s small. 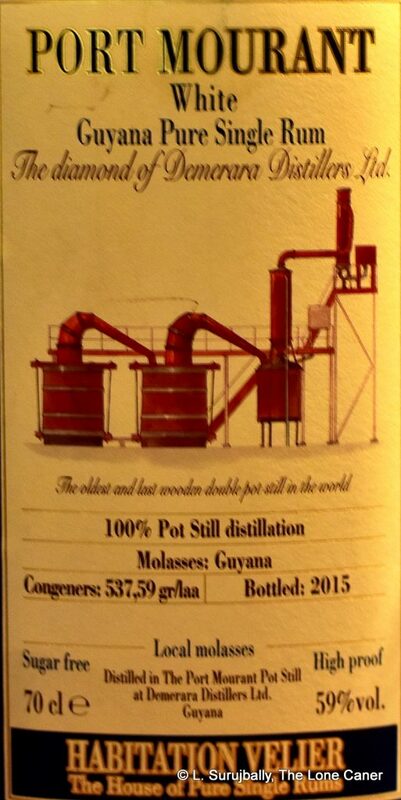 A1710 is the first attempt in a long time to shake up Martinique’s well known rum industry, being created in 2016 as a micro-distillery for Habitation Le Simon (not to be confused with the distillery of Simon, though they’re close by), which rubs shoulders with Clement on the mid eastern side of the island. The estate’s roots go back to 1710 when the founder, Jean Assier, arrived on the island (hence the “A” in the title) and founded the sugar plantation, which seems to have been family owned and operated as a sugar estate ever since. Yves Assier de Pompignan, the 50-year-old who created the brand and founded the distillery in 2016, first made a career in stationery and office supplies before accepting his True Calling, perhaps channelling the family heritage — a great-grandfather owned the current factory of Saint-James, a grandfather owned of rum brand, his father is a cane agronomist and he has connections with the Hayot family as well. 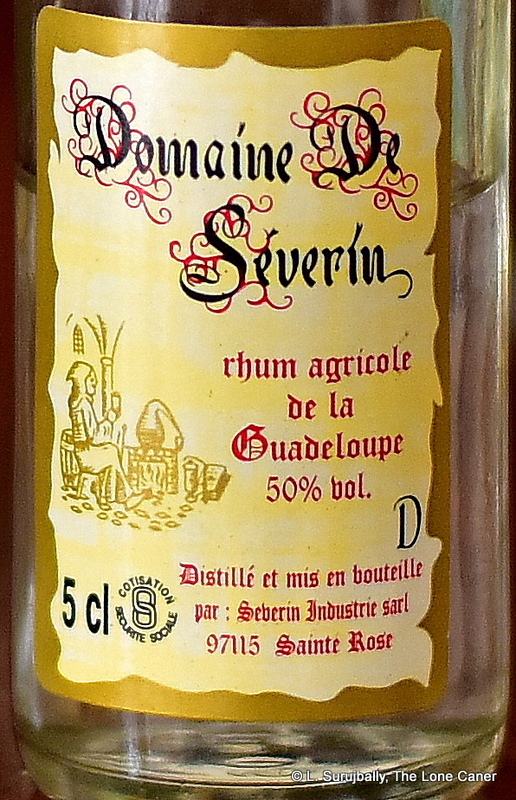 What distinguishes the small distillery is that it did not chase the AOC designation (they have creole column still, ferment juice for around five days and reap cane year round, to name some points of divergence), and its organic focus, which eschews the more mechanized bulk approach taken by bigger competitors. I usually nod and smile at such statements, but when the results are as good as these, who am I to rain on their parade? Besides, it’s canny – there’s a market for such niche products made as free from technological interference as possible, and I’m sure A1710 knew and bet on that. And after all is said and done, the white rum they make is excellent. Just nosing this 2017-issued 54.5% product makes that clear: it’s sparkly, sprightly sugar water with a light tinge of brine. Olives, nail polish remover, turpentine, floor wax, freshly sawn lumber and sawdust. Cider gherkins and apple cider. Very impressive because it never loses sight of the creole still origins and even after half an hour it still coughs up some earthy notes, well polished leather and a lovely thread of green apples. Moving on, the flavour profile on the palate is nothing short of impressive. It comes smooth and warm across the tongue, providing warm notes of sugar water, watermelon, papaya, licorice, sweet bonbons, grass, and pungent lime leaves in a thai curry. 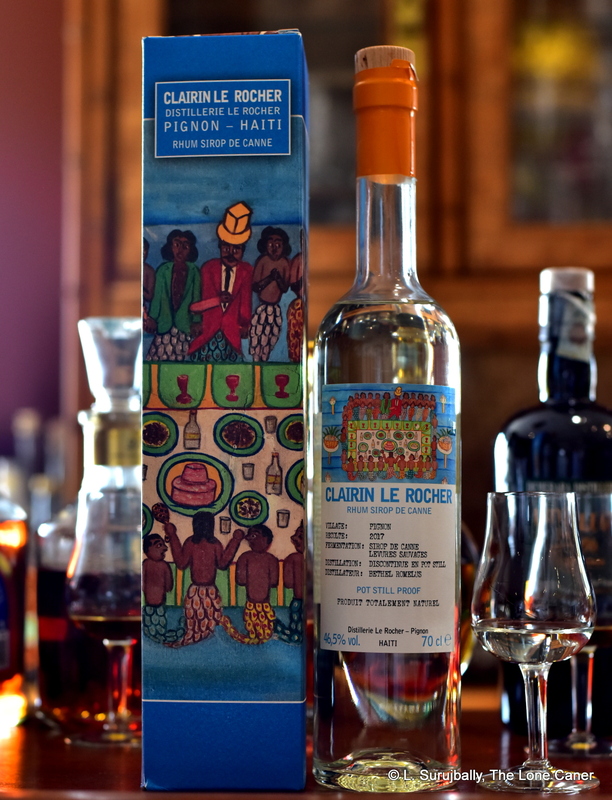 The rhum displays real potency without overcrowding the taste buds with either too much power or excessive complexity, a perfect combo of sweet and salt and herbals in a complex interplay of citrus, grass, cilantro and 7-up. It’s almost cachaca-like, minus the bitterness of strange Brazilian woods. The finish was okay but things start to slow down here, and it (fortunately) stops just shy of being bland – the heat carries off some of the taste and closing aromas but there was lime leaves, gherkins and sugar water, getting sweeter and more delicate (but always crisp) over time. It reminded me a lot of the J. Bally Blanc agricole, but was a smidgen better, I’d say. When Cyril of DuRhum rendered one the first online opinions of A1710 and both their 2016-edition whites and aged rum selection, he wrote honestly (and disparagingly) about the flowery marketing push and the price, especially the aged ones. Fast forward a year or two and the online-store costs for the 2017 white written about here are pretty much in line with others of their kind; and the marketing, well, every company under the sun trumpets its niche advantage and special something – I yawn through the usual adjectives and hyperboles anyway so it doesn’t trouble me unless it’s an out-and-out falsehood and has no real info behind it. Putting that aside, what I appreciated about A1710 was the courage it took to open the eighth distillery on the island at all, against some formidable competitors. 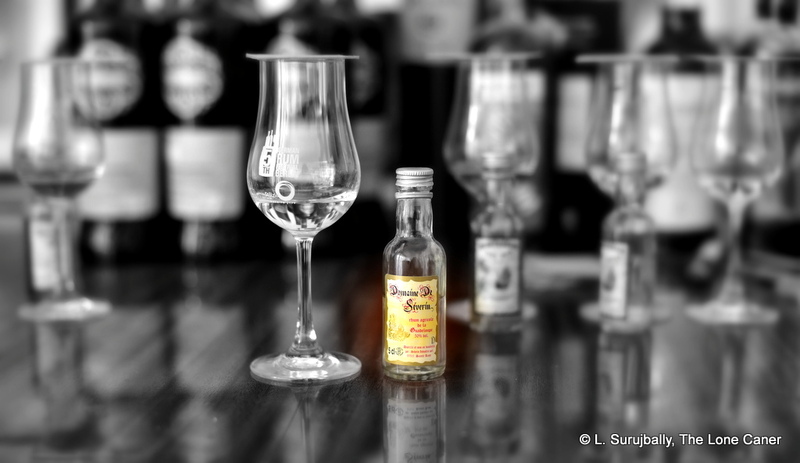 What emerged at the other end was a white rum of real quality which possessed a solid taste profile and whether known or not, can take its place without apology alongside all the other blancs that may be better known and sell more. That’s a real achievement, for a company this young. There must be something about the French that just leads them into starting little rum companies in other countries. 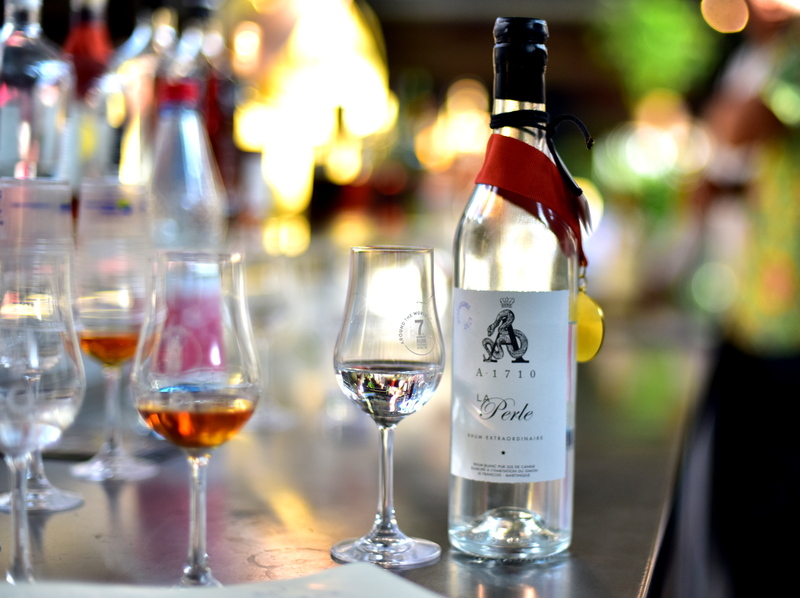 There was Hembert Achard and Anne-Francois Houzel who formed Whisper Rums from Antigua; David Giallorenzo of Issan; and Marine Lucchini and Thibault Spithakis of Chalong Bay. 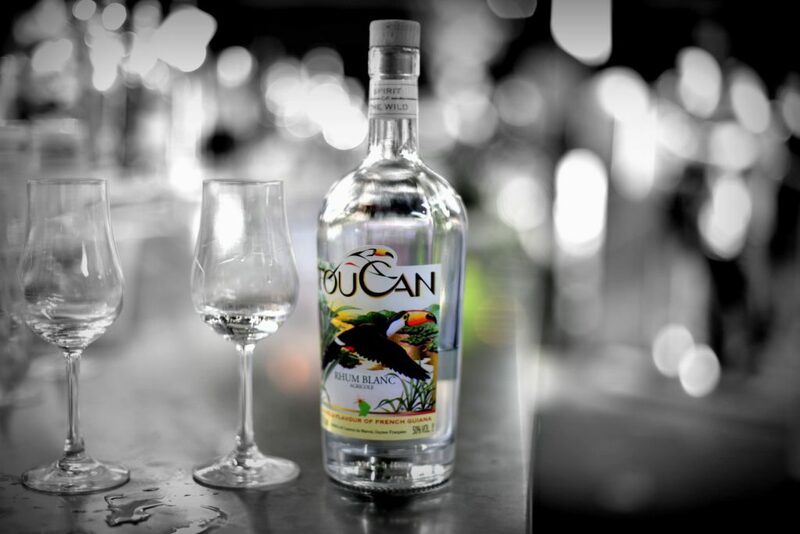 And of course there’s Toucan, which, if you recall from my posts of a year ago, is a relatively new entrant to the field of rums, yet distinguished itself (in my eyes at least) by making the really nifty-but-underpowered Toucan No. 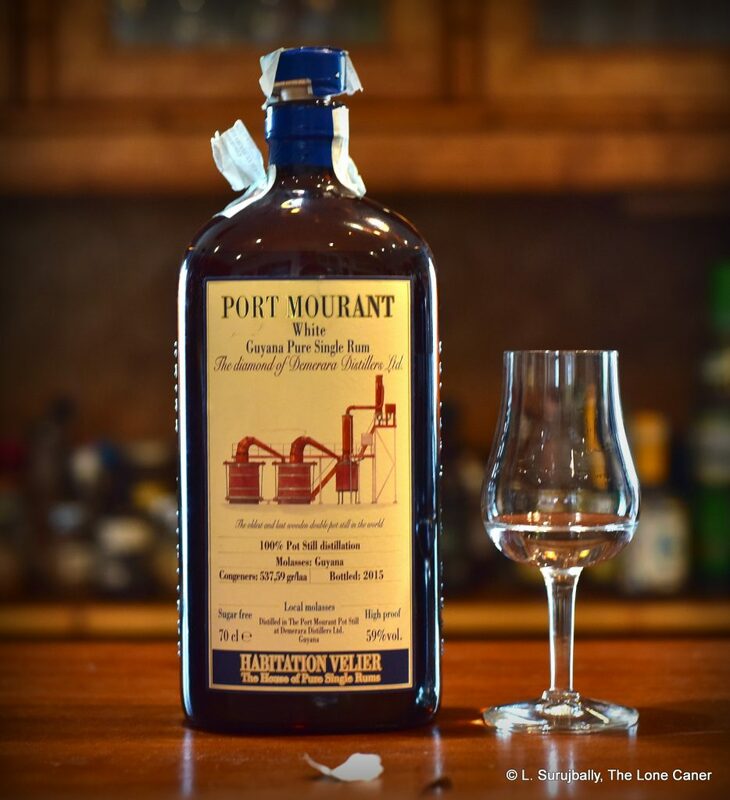 4, as well as being from French Guiana, a place we have not seen or heard of enough when it comes to rums. All these companies are small, discreet and self-effacing…almost humble. Oh sure, they use social media and have slick, marketing-heavy websites and show up on Facebook feeds off and on – who doesn’t, these days? 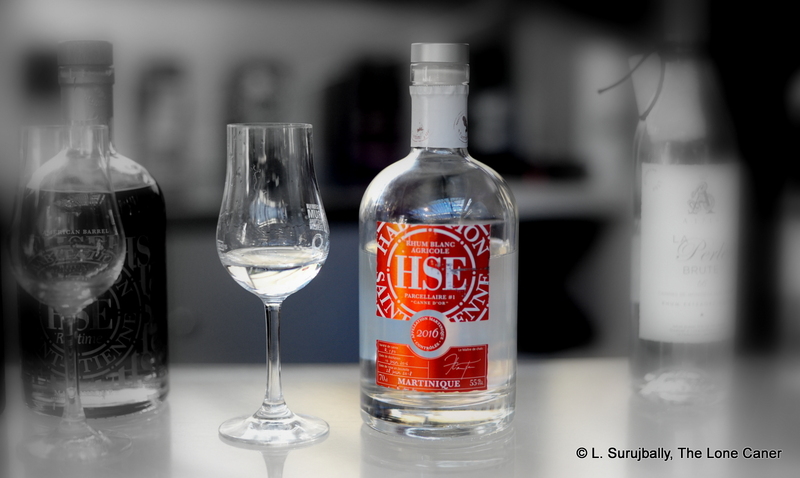 – but what distinguishes them (to me) is both their relatively low-key digital footprint, and their equally unhyped but surprisingly good young rums. Especially the white ones, which I simply can’t get enough of. In this case, the 50% blanc. Toucan makes a vanilla (I think this is No. 1), the Boco spiced rum No. 2, the No. 4 slightly aged rum and but for my money this 50% white is the best of the lot. 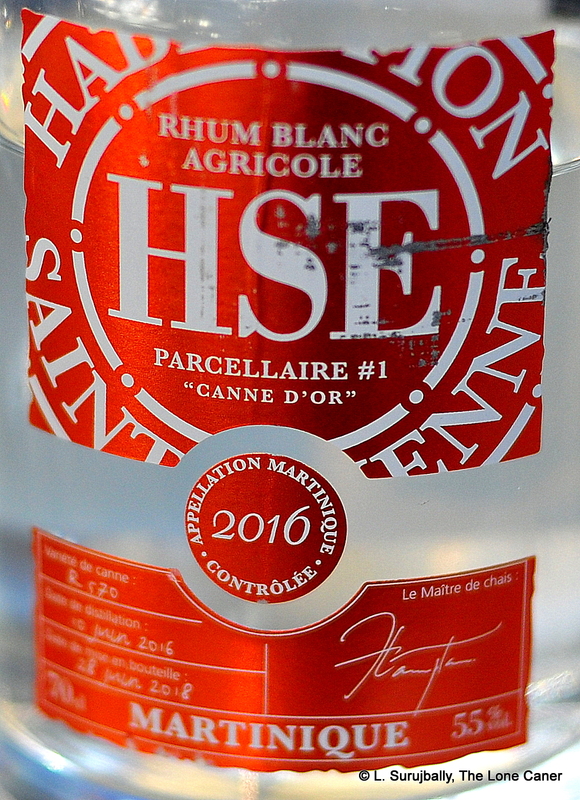 It’s made from cane juice processed at French Guiana’s St. Maurice distillery, and then shipped to Toulouse where it stays in neutral steel tanks until ready for bottling, after being reduced to 50%. What’s nice about it is immediately summarized by a nose of uncommon delicacy and (oddly) also of heft. It smelled of sweet light fruit – pears, watermelon, green grapes – but also of salty brine and olives, furniture polish, and something barely noticeable yet also…meatier. In that it reminded me of the Novo Fogo, though with rather more emphasis and braggadocio, due in no small part to the 50% ABV it was bottled at. The palate continued that unhurried unfolding or flavour. It was smooth and pleasant (with a little nip from the strength, no getting away from that), initially tasting of fanta and 7-up, light citrus peel, pears again, a few indeterminate ripe fruits, and (get this) those salt-and-vinegar pringles chips. It was aromatic and redolent of these, and the salt and the sweet and the fruity notes melded nicely in a minor key that didn’t overwhelm, just led slowly down to a gentle finish which gave last hints of marzipan, sugar water, toblerone and nougat. 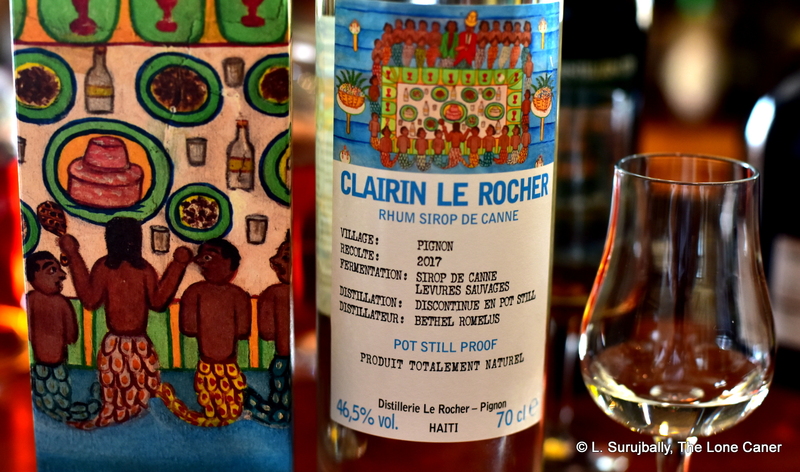 I must admit that furiously raw clarity of flavour and a powerful terroire profile is not this rhum’s thing. In fact, it’s rather restrained, almost demure, with each flavour shyly coiling out of the mix to tease and titillate before quietly subsiding, much like many of those Asian white rums I’ve been trying of late – Issan, Vientiane, Chalong Bay, Laodi. Like them, the Toucan white straddles the divide between too much and too little, between pillow and hammer, and finds the balancing point between them all. It’s an unassuming but really good white rum, one of an increasing number of unsung heroes of the blancworld which one should try for no other reason than to be pleased by something that wants to do nothing else. In the last decade, several major divides have fissured the rum world in ways that would have seemed inconceivable in the early 2000s: these were and are cask strength (or full-proof) versus “standard proof” (40-43%); pure rums that are unadded-to versus those that have additives or are spiced up; tropical ageing against continental; blended rums versus single barrel expressions – and for the purpose of this review, the development and emergence of unmessed-with, unfiltered, unaged white rums, which in the French West Indies are called blancs (clairins from Haiti are a subset of these) and which press several of these buttons at once. Blancs are often unaged, unfiltered, derive from cane juice, are issued at muscular strengths, and for any bartender or barfly or simple lover of rums, they are explosively good alternatives to standard fare – they can boost up a cocktail, are a riot to drink neat, and are a great complement to anyone’s home bar…and if they occasionally have a concussive sort of strength that rearranges your face, well, sometimes you just gotta take one for the team in the name of science. The Longueteau blanc from Guadeloupe is one of these off-the-reservation mastodons which I can’t get enough of. It handily shows blended milquetoast white nonsense the door…largely because it isn’t made to sell a gajillion bottles in every low-rent mom-and-pop in the hemisphere (and to every college student of legal age and limited means), but is aimed at people who actually know and care about an exactingly made column-still product that has a taste profile that’s more than merely vanilla and cloves and whatever else. Doubt me? Take a sniff. Not too deep please – 62% ABV will assert itself, viciously, if you’re not prepared. And then just think about that range of light, crisp aromas that come through your schnozz. Speaking for myself, I noted freshly mown grass, sugar cane sap bleeding from the stalk, crisp apples and green grapes, cucumbers, sugar water, lemon zest, brine, an olive or two, and even a few guavas in the background. Yes it was sharp, but perhaps the word I should use is “hot” because it presented an aroma that was solid and aggressive without being actually damaging. Taste? Well, it’s certainly not the easy kind of spirit you would introduce to your parents, no, it’s too badass for that, and individualistic to a fault. Still, you can’t deny it’s got character: taking a sip opens up a raft of competing and distinct flavours – salt, olives, acetones, bags of acidic fruit (green grapes and apples seem to be the dominant notes here), cider, lemon zest again, all toned down a little with some aromatic tobacco and sugar water, cumin, and even flowers and pine-sol disinfectant (seriously!). That clear and almost-sweet taste runs right through into the finish, which is equally crisp and fragrant, redolent of sugar water, lemons and some light florals I couldn’t pick apart. There you are, then. Compare that to, oh, a Bacardi Superior, or any filtered white your barman has on the shelf to make his usual creations. See what I mean? It’s a totally different animal, and if originality is what you’re after, then how can you pass something like this by? 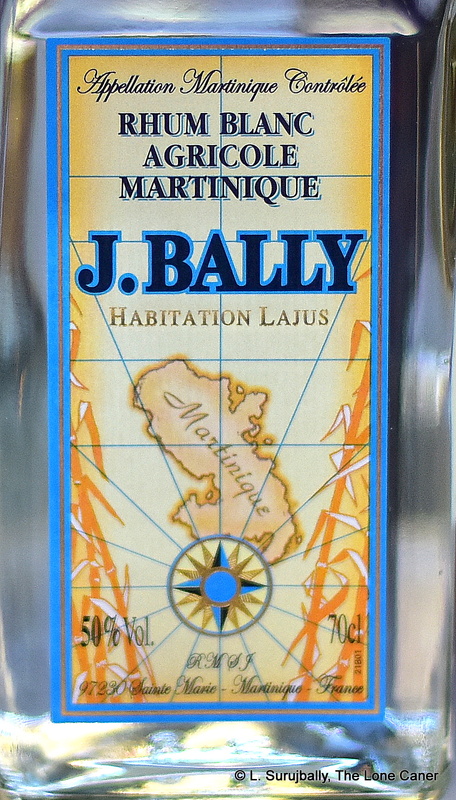 Now, to be honest, perhaps comparing a visceral, powerful white French island rhum like this to a meek-and-mild, easygoing white mixing agent like that Bacardi is somewhat unfair — they are of differing styles, differing heritages, differing production philosophies and perhaps even made for different audiences. Maybe. But I argue that getting a rum at the lowest price just because it’s the lowest isn’t everything in this world (and in any case, I firmly believe cheap is always expensive in the long run) – if you’re into this curious subculture of ours, you almost owe it to yourself to check out alternatives, and the Longueteau blanc is actually quite affordable. And for sure it’s also a beast of a drink, a joyous riot of rumstink and rumtaste, and I can almost guarantee that if you are boozing in a place where this is begin served, it’s one of the best blanc rhums in the joint. Longueteau actually makes a white even stronger than this one, the 73.51% “Genesis”, which came out in 2017 and which, in a curious coincidence of timing, was just reviewed by RumCorner, somewhat less enthusiastically, here. As far as I know this derives from cane juice, not molasses. How this blanc J. Bally succeeds as well as it does is a source of wonder. I tried it and was left blinking in appreciation at its overall quality. Like all Bally rums made these days, it’s AOC certified, half pure alcohol (50% ABV), and unaged (rested for a few months in stainless steel tanks before bottling), and I honestly expected something a lot more aggressive than it actually was. In that ability it had to walk the tightrope between ageing and no aging, between too strong or too weak, between jagged edges and smooth gentling lies a lot of its appeal. 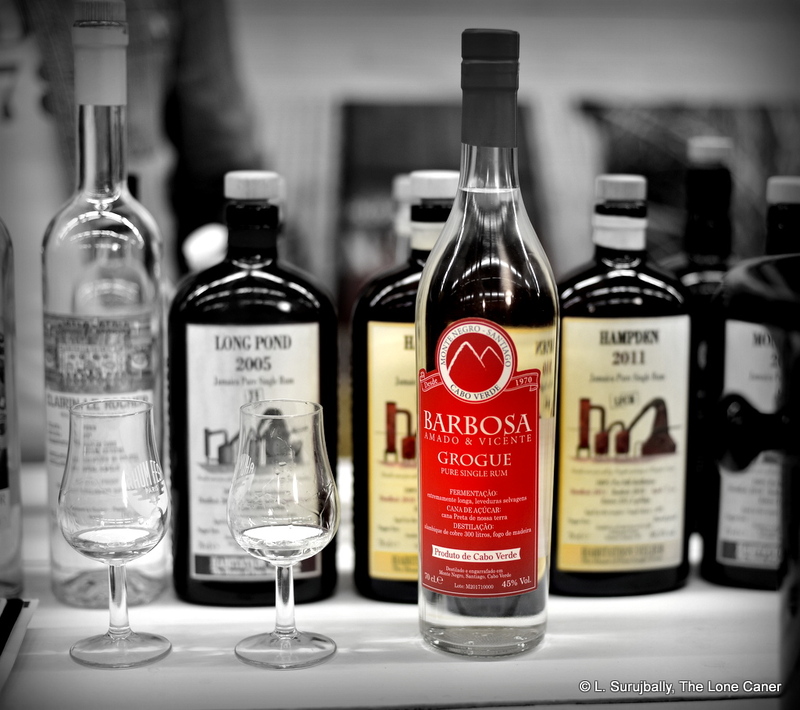 Some time ago when I wrote a small roundup of 21 Great Whites, I remarked on the fact that most of the best white rums out there are bottled without any ageing at all, right as they come dripping off the still. Whatever filtration such rums are subjected to, is to remove sediment and detritus, not the sort of chill filtration, reverse osmosis or activated charcoal filters that leave an emasculated and flaccid excuse for a rum behind, which is then relegated to the poor-doofus-cousin shelf of a barman’s cabinet, used only for cheap mixes. You certainly would not want to drink one of those indifferent, milquetoast whites neat to savour the nuances, which is why they have inexorably slipped to the bottom of the rankings of white rums in general, their place taken by purer, cleaner, stronger stuff — like this cool Martinique product. Bally no longer exists as an independent, completely integrated entity in its own right. After being acquired by Remy Cointreau in the 1980s, the distillery operations were closed and shifted to the centralized Simon Distillery, though the original recipes for their rhums remains intact, and sugar production continues at Lajus, as does the bottling and ageing up the road at Le Carbet. As with many French island products, it retains a certain cult following, and a cachet all its own. Suffice to say they have made some really good rums, and this one may either be the real deal poised for mass market export or some kind of off-the-wall local tipple trotted out for exposure at various Rumfests (which is where I tried it, mostly out of curiosity). It’s reasonably widely available, especially in Europe. Well, that out of the way, let me walk you through the profile. Nose first: what was immediately evident is that it adhered to all the markers of a crisp agricole. It gave off of light grassy notes, apples gone off the slightest bit, watermelon, very light citrus and flowers. Then it sat back for some minutes, before surging forward with more: olives in brine, watermelon juice, sugar cane sap, peaches, tobacco and a sly hint of herbs like dill and cardamom. The palate was more dialled down, less aggressive…tamer, perhaps; softer. And that’s saying something for a 50% rum. It was sleek, supple, smooth and sweet, and went down easy. Tastes suggested fanta and 7-Up in an uneasy combination with rained-upon green grass. A little menthol, thyme and sugar water. A sort of light fruitiness pervaded the drink – watermelon juice, white guavas, pears, combined with sugar water, underneath which lurked a cheeky element of brine that never entirely came out and took over, and was hinted at, never outright disclosed. Finish was nothing special – a little salt, a little sugar, a little water, a little fruit, but not hot at all, mostly an easy going wave goodbye as it exited the premises. There’s little to complain about here, and much to admire. To me, what sets this rum apart is its how many things it accomplishes in the same bottle, the same shot. Unlike many whites that are now making headlines, Bally’s blanc doesn’t want to rip your face off or try to show off its package in an effort to show it’s bigger, bolder and more badass than all the others. It’s also an uncommonly restrained white rum, retaining both elements of its youth, as well as having its rough edges sanded down a shade. 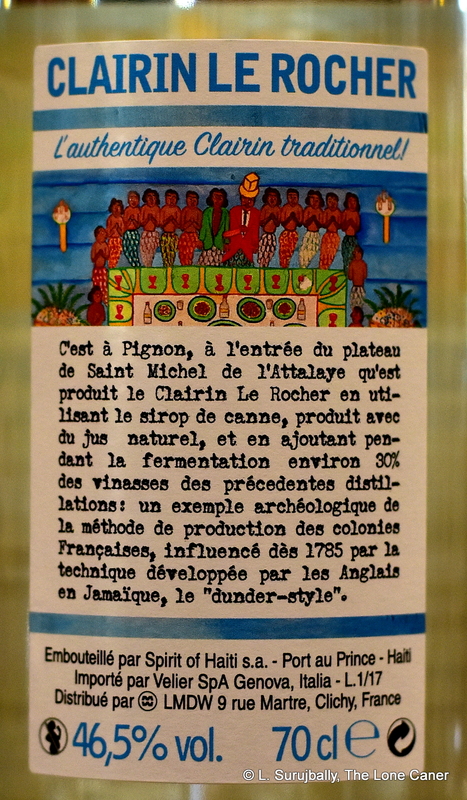 It’s a white rhum that is demonstrably an agricole, a vibrantly young sprout of some character and depth, and tailor-made for both those now dipping their toes into the white-rum sea (and don’t want anything too savage), and those who like white agricoles on general principles. That it does all these things at once and with such unassuming style, is nothing short of a tiny miracle.